Gone are the days when a senior pastor is looked at as the “one man show.” There are some churches still operating in that system and the senior pastor does everything, but most of those churches are not growing and the senior pastor is left with the weight of the ministry on his shoulders. 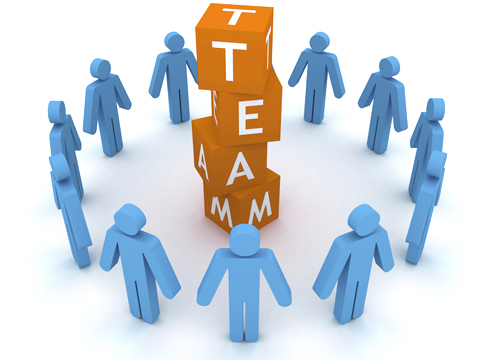 Today churches are embracing a much-needed philosophical change of ministry called team leadership. Churches are embracing leadership models that are defined by words such as “team” and “teamwork.” In his book, Advanced Strategic Planning, Aubrey Malphurs says, “Excellent leaders understand that they can accomplish far more through the wisdom of a gifted and committed strategic team of staff and lay leaders.” The pastor is no longer the “one man show,” but is the lead pastors among other gifted and well-trained leaders. Some Christians and church goers don’t like this model because it may seem to “corporate” or like a “business” model. But before you make that assumption and write off churches that operate with this team leadership philosophy, take a look at some examples of this team leadership in Scripture. Yes, this idea of team leadership is clearly seen in Scripture. Moses took the advice of Jethro and formed a team to work with him (Exodus 18:24-26). Jethro saw that Moses couldn’t handle his wilderness ministry on his own. He needed help and he needed a team. You can read about the situation Moses was in and the advice of Jethro in verses 1-23. Moses followed Jethro’s advice and formed a team of able men to help him carry the load of his ministry. Jesus recruited a team of disciples to be with Him and minister alongside Him (Mark 3:13-14). The fact that Jesus operated with a team leadership philosophy should be enough to motivate you to do the same! In Mark 3:13-14 we see Jesus chose twelve men He could be with and could send out to do His ministry. Paul understood the significance of a team as he led and ministered through numerous teams (Acts 11:22-30). As you read this passage in Acts, and many other passages as well, it is evident that Paul understood the effectiveness of doing ministry as a team. Because he equipped other leaders to share the load of ministry, he was able to reach more people with the Gospel and minister to many more churches than he could have if he was in it alone. Please don’t dismiss team leadership because the church has neglected it for so long. This idea if seen in the pages of Scripture. Churches can do more with they are led by a gifted team of staff and lay leaders. God wants to do great things through us and we can accomplish more for His Kingdom if we operate as a team. Most of the content in this post came from Aubrey Malphurs book “Advanced Strategic Planning.” I would encourage you to check out this book and get a better understanding of team leadership, particularly about how to strategically plan as a team.